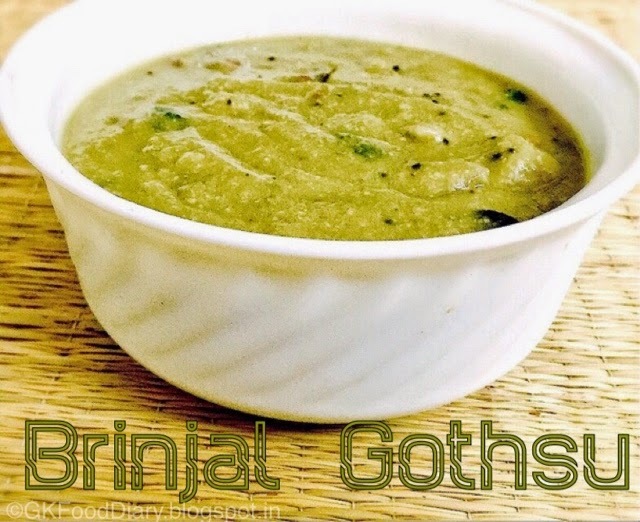 Brinjal Gothsu is a best sidedish for Idli/ Dosa which we make weekly once at least. It goes well with ven Pongal too. This is very simple to make but yet very tasty. 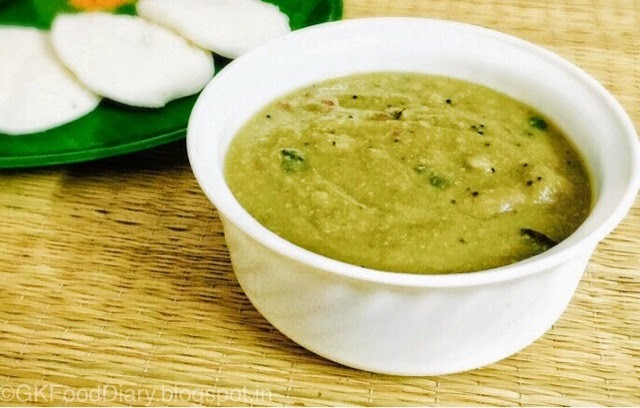 It’s different from Chidambaram Gothsu.I have learnt this recipe from Amma and hence its from Tirunelveli. We call this dish as kathirikai khichadi. Let’s go to the recipe. 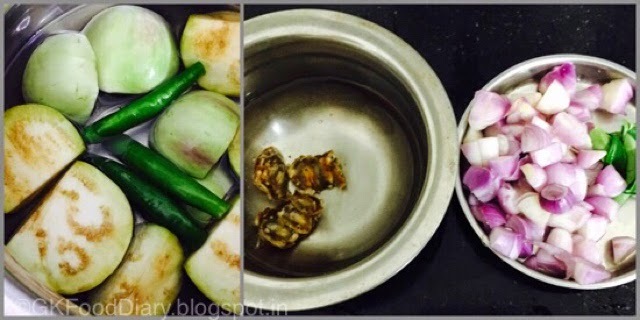 Wash the brinjals and green chillies well in running water and chop them roughly. Pressure cook it with one cup of water for a whistle. In the meantime, chop the onions finely and soak the tamirnd in warm water and extract the juice. Once the pressure got released from the cooker, grind the brinjals and green chillies with grated coconut to a fine paste. Set aside. Heat a pan with oil and add the items to temper. 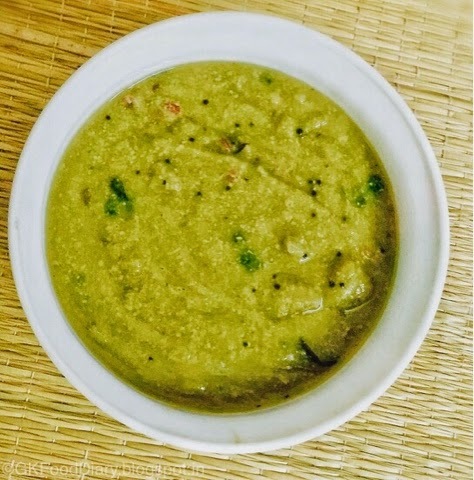 Once mustard seeds cracks and urad dal turning brown, add curry leaves. Then add small onions and fry them for 5 minutes. Once the onions turn light golden,add brinjal coconut paste and mix well. Then add tamirnd juice to the mix. Boil the Gothsu well for five minutes in medium flame until the raw smell of tamirnd completely leaves and the gothsu becomes little thick. Garnish with Corainder leaves and switch off the flame. 1. Wash the brinjals and green chillies well in running water and chop them roughly. Pressure cook it with one cup of water for a whistle. In the meantime, chop the onions finely and soak the tamarind in warm water and extract the juice. 2. 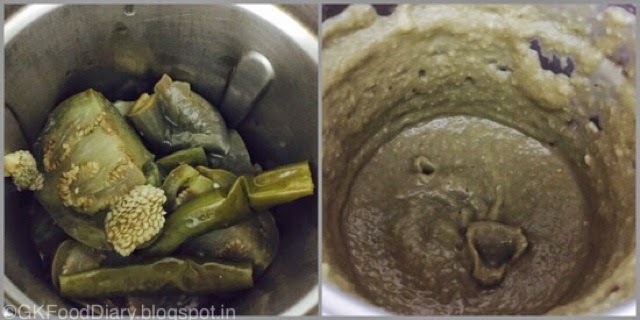 Once the pressure got released from the cooker, grind the brinjals and green chillies with grated coconut to a fine paste. Set aside. 1. Heat a pan with oil and add the items to temper. Once mustard seeds cracks and urad dal turning brown, add curry leaves. Then add small onions and fry them for 5 minutes. 2. 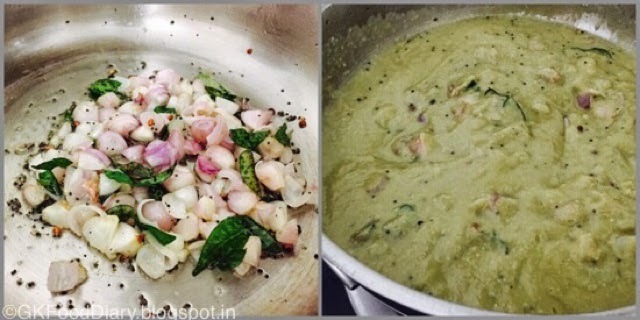 Once the onions turn light golden,add brinjal coconut paste and mix well. Then add tamarind juice to the mix. 3. Boil the Gothsu well for five minutes in medium flame until the raw smell of tamarind completely leaves and the gothsu becomes little thick. 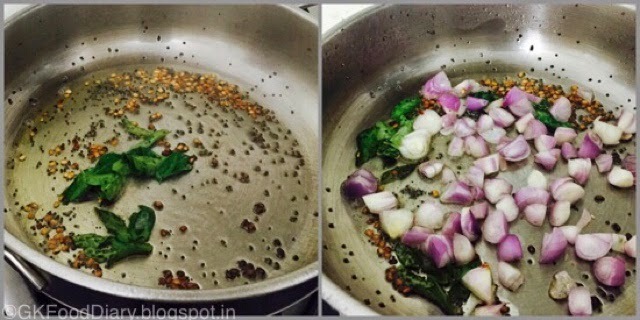 Garnish with Coriander leaves and switch off the flame. 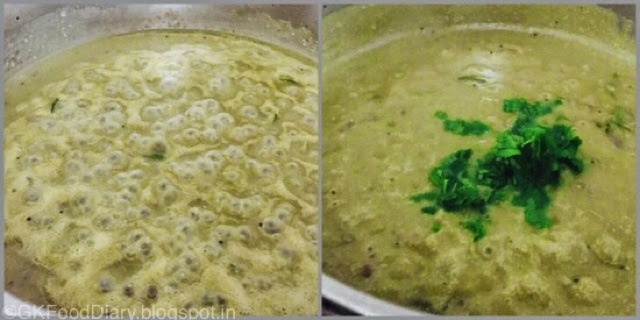 The mouth watering brinjal gothsu is ready to be served with hot steaming idlies! 1. Big onion can be used instead of small onions. But tastes the best with small onions!